The future of print like the future of the media remains a work in progress. News and magazine print competes for our attention alongside other forms of owned and social media. This is a story that will continue to be played out over my lifetime. 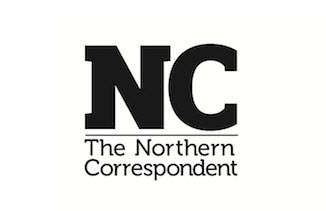 When the history of print is eventually written the northern correspondent will lay claim to a chapter alongside other reporters sent out into the field from the heart of news operations. It is a role firmly under threat as news organisations cut overheads and slim down their staff. Regional news organisations for their part continue to fight for attention and reinvent themselves in a bid to survive. Launching The Northern Correspondent, a new print title, in this climate would seem foolhardy. Step forward Ian Wylie a journalist from the north east of England. Wylie has assembled a small group of creative and media professionals that are passionate about telling stories of the people and places of the north east. “It’s a region of two and a half million people [and] we’re betting there’s more than a few who crave reporting about their region that’s more substantial, stimulating and satisfying than what’s currently on offer,” says Wylie. I backed The Northern Correspondent via a Kickstarter project and received my first copy over the weekend. The production values are high and it is printed on heavy stock. It looks and feels gorgeous. Wylie has flippantly called the project the “New Yorker for Newcastle”. It’s an ambitious vision but the team has pulled it off with the first edition. Within the 88 offset pages there are stories that bring a fresh pair of eyes to many of the issues of the north east and root out some new ones as well. There are articles on joy riding, homelessness (Lee Halpin’s tragic story is retold), the economic issues facing a Northumberland pit village, the region’s Iranian community, and the future of pigeon racing. It is truly eclectic. Long form journalism is punctuated by short stories and poems from new writers that will take you by surprise. It is upbeat and positive; life-affirming even. Wylie says he was advised by Martin Wainwright who retired last year after 27-years at The Guardian, and 17-years as northern correspondent to follow this agenda. My hunch is that print will never die. We’re tactile animals and want to interact with physical print products. That said, the plain fact of economics dictates that there be a lot less of it in the future than there has been in the past. Print remains strong in niches where high quality production is valued (fashion and lifestyle), where images are at key part of the product (celebratory gossip and comics) and for analytical and long form content (analysis and storytelling). The Northern Correspondent is aiming firmly at this latter opportunity. I wish it well. In fact I’ve just ordered some more copies to distribute to friends (£5 each via the web). I suggest you do the same. But be quick the first print run has been limited to 1,000.